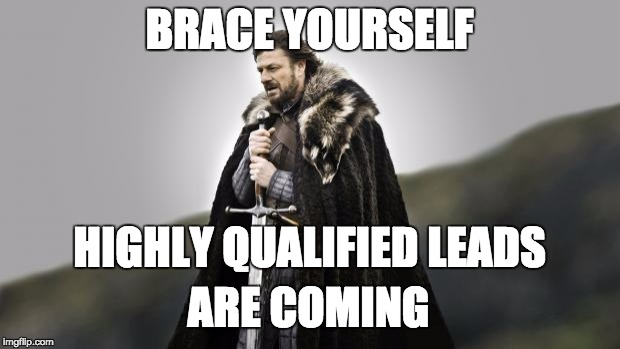 Welcome to another episode of SEO This Week! I hope you enjoyed Episode 47 and were able to come away with some tips that helped your business. Episode 48 is packed with so much more that I think you'll really enjoy. First we take a look at a growth hacker playbook to get more customers from your competition, then we take a look at several articles that cover Facebook Ad changes, we look keyword research and how to use that your site properly, LinkedIN's new feature, and finally some tips to get your homepage right for conversions. 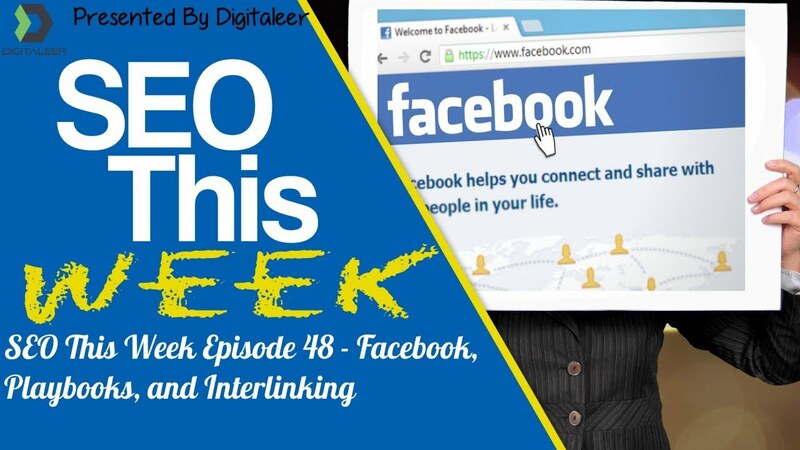 All this and more on Episode 48 of SEO This Week! Our Insights: This is a very good and very detailed post on 6 ways that you can use your competitor's audience to build your own marketing campaigns. SEO‘s do this on a daily basis, looking at the competitions content, interlinking, and backlinks to reverse engineer what they are doing to get their rankings. The steps in this article do much the same thing in some unique ways. Going beyond just telling you what to do, the author takes the time to actually tell you how to do it, which is why I like this article so much and I think you will to. Our Insights: This is otherwise a pretty good article discussing the importance of internal linking on your website. We believe it's so important that we even went so far as ranking pages on internal links alone. There is one error in this article that I believe was probably a “train of thought” mistake. In the link authority section, the author states that “internal links have no direct impact on Google's algorithm”. That's clearly contradictory because the algorithm is what drives indexing and ranking. Other than though, it's a sound piece of content that may provide some added perspective on why your SEO team is adding so many internal links in your content. Our Insights: There are some people that say retargeting is creepy as it is, imagines turning this on! I love the idea of retargeting your store's physical location visitors and look forward to testing this gem out on some of my client's campaigns. Imagine this, a dental patient comes in to get a cleaning. In a week, you retarget them with a thank you post, then a week later drop an add covering something about another service offer you have. Restaurants could also potentially kill it with this feature. Our Insights: Facebook Advertising is driven a lot by the mobile users of the platform. However, a lot of advertisers miss the mark when trying to apply desktop conversion tips in a mobile environment. Such things as responsive forms, landing pages, even CTA boxes are obvious but often overlooked. In this post, the author goes over some responsive opt-in forms they created using OptinMonster that significantly improved the overall ROI of their paid Facebook marketing campaigns. 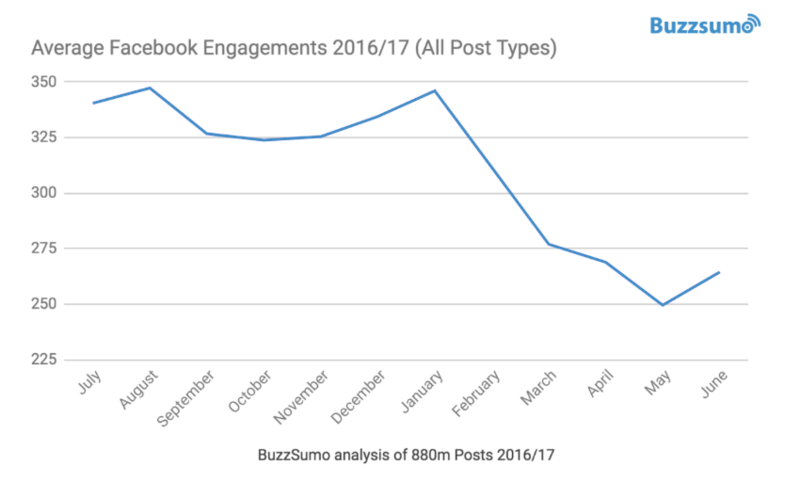 Our Insights: Tons of data in here showing how the organic reach and engagement has dropped overall for businesses who publish on the site. In the end, it's all about the ads if you are trying to reach your audience on the platform unless you already have a really loyal crowd and even then Facebook might be filtering your content on their feeds. Our Insights: No business is the same and neither is their SEO. As a matter of fact stuff changes from keyword to keyword. This author gets that and has created a great post on some things people in the restaurant business should be doing online to get more bang for their SEO dollar. Our Insights: They are using this to generate more income while cleaning up some of the more “spammed” markets in the search results. The scale is going to be a problem for the worldwide market, but who knows how far they will take this to make a few more billion a year. I honestly can't say if this is going to be a good or bad thing for small business. If they make all service area businesses pay for ads then you'll have that option or just skipping maps altogether. Our Insights: I preach search intent when doing keyword research in my on-page SEO guide and this post is another great reminder of why it's so important. 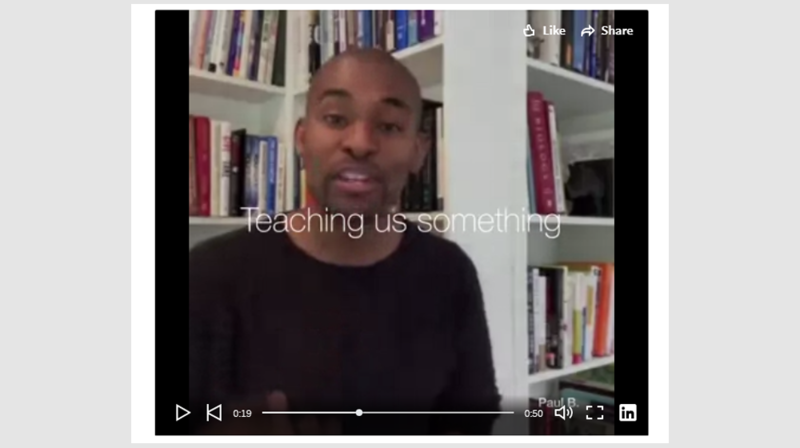 The author goes into a few ways you can leverage tools to make sure you actually got it right. Our Insights: Ever since Rand stopped running Moz and focusing on just putting out content these videos have been getting better and better. 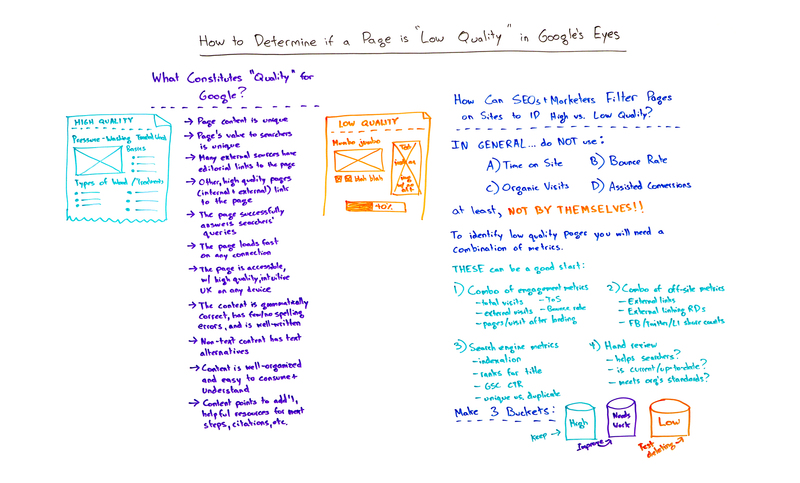 In this video, Rand goes over some things that help Google determine your ranking from a quality standpoint. Most of the stuff he talks about directly affects users as well, so I enjoyed this talk even if only to get a refresher on the topic. 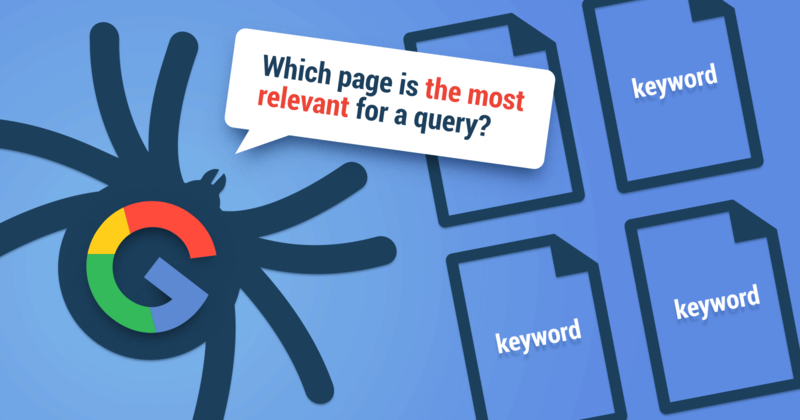 Our Insights: Keyword Cannibalization is basically where you have multiple pages about the same topic and it's causing your main money page to not rank as high. This post talks about some ways to fix that on your site. In the Podcast, I tell you how I do it, we like our way better. Our Insights: We've not seen this but I love the idea and can already think of the ways we are going to leverage this for our business. Check out your accounts today and see if it's turned on. In the days of lazy SEO, there are tons of people trying to create content that is optimized for multiple keywords. However in SEO, like in life, if you try to be everything to everyone, you end up being nothing to everybody.